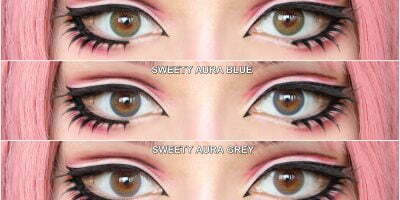 Try these brilliant I.Fairy Cara Red lenses for your Tohru cosplay. The lenses feature a unique design and are known to add a dolly enlargement to your iris. The lenses stand out from other red lenses because of their unique design. The colorful strokes create a beautiful blend that stay vibrant against any color. They may appear pink at first, but depending on the light that enters into the eyes, these lenses get darker. The yellow splashes help your eyes pop out making these lenses perfect for cosplay & photo shoot.